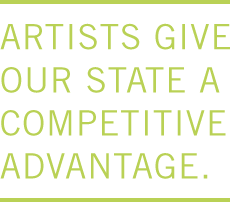 Looking for hard data about Minnesota’s arts and culture sector? Creative Minnesota provides research about the arts to improve our understanding of its importance to our quality of life and economy. If you are an artist or arts and culture organization, this is about you and data you can use to advocate for the arts & artists. If you are a politician or elected official, this data can show just how much economic activity is generated by arts & culture sector in your area. 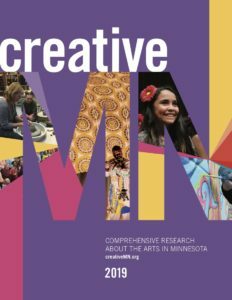 If you are a member of the public, the CreativeMN report is a great way to see the impact of the arts and culture in Minnesota and find out what’s in your area. Select below to view county and city studies. Select below to view studies for a topic. 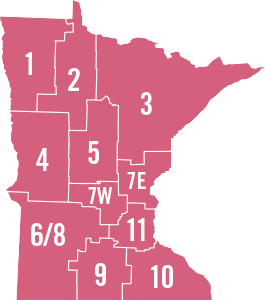 Click a county to view county & region specific information.